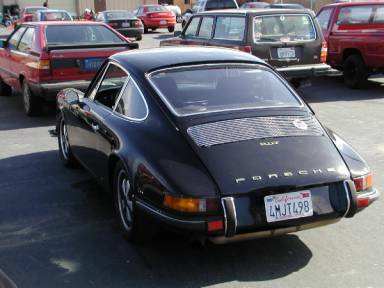 Here are a few shots of my 1971 911T. Its somewhat of an outlaw, if you consider a modified T an outlaw. It was not stock when I bought it in 1991, so as situations arose, I always chose the path of upgrade/enhance performance. 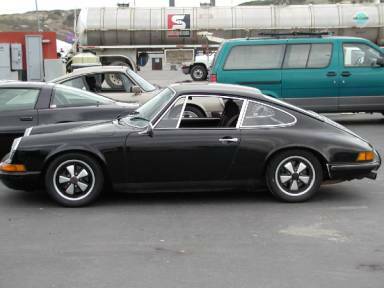 In its current form it has a 3.2 CIS engine, Carrera Suspension, and 944 Turbo brakes. This car is a lot of fun to drive since it has a pretty good power to weight ratio. Throttle response is good in all gears despite the tall gearing of an 86 915 gearbox. 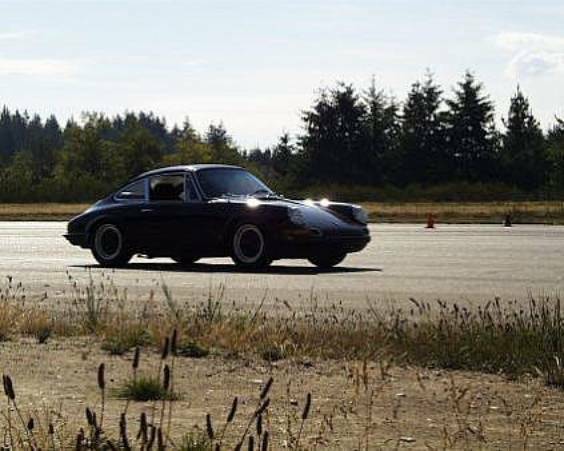 The tricky part is that the extra power and weight of the bigger motor is not offset by wider rubber in the rear, so the back end is usually an active participant in most cornering efforts. Let's just say that trail braking is almost never necessary to get the car to turn! Which of course is exactly how I like it and why this car has been my daily driver for 9+ years.